Sati Saraniya Hermitage , the Theravada Bhikkhuni Sangha near Perth recently paid homage to the Buddha’s mother, Arahant Mahapajapati Theri and all the arahant bhikkhunis of ancient times and down through the ages. Also, this year, the 10th anniversary of Sati celebrated the granting of Ayya Anuruddha’s Permanent Resident status in Canada. Please note registration is filling quickly for Ayya Medhanandi’s November 17-18th Non-Residential Retreat. For information on this retreat scroll to the bottom of the RETREATSpage on the OBS website. Jane Brown, OBS President shares some parking suggestions for Friday Evening Quaker House events at 91A Fourth Ave in the Glebe:parking is never easy in the Glebe but for the next three events, parking may be even more challenging since our events are the same evenings as Red Black games at Lansdowne Park. (Oct 5 and Oct 19 events with Ayya Medhanandi and Nov 2 event with Ven Khemako). If possible, please try to carpool. Carpooling is always an option ! October 5 – Friday Evening Meeting with Ayyā Medhānandī. 7:30 pm at QH, 91A Fourth Ave, Ottawa All dana offerings for the nuns at Sati Saraniya will be gratefully accepted. 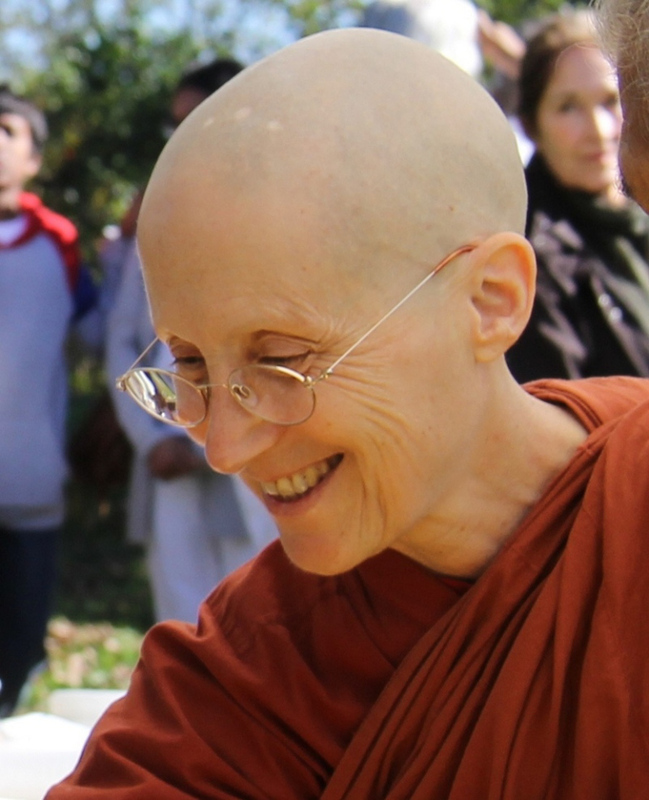 Ayyā Medhānandī Bhikkhunī is the founder and guiding teacher of Sati Sārāņīya Hermitage, a forest monastery for women in the Theravāda tradition. A native of Canada, she was born to Eastern European refugees who emigrated to Montreal after World War II. Ayyā first requested full-ordination as a bhikkhunī from her teacher and preceptor, Venerable Sayadaw U Pandita, in 1988. At the time, this was not possible for Theravāda Buddhist women. 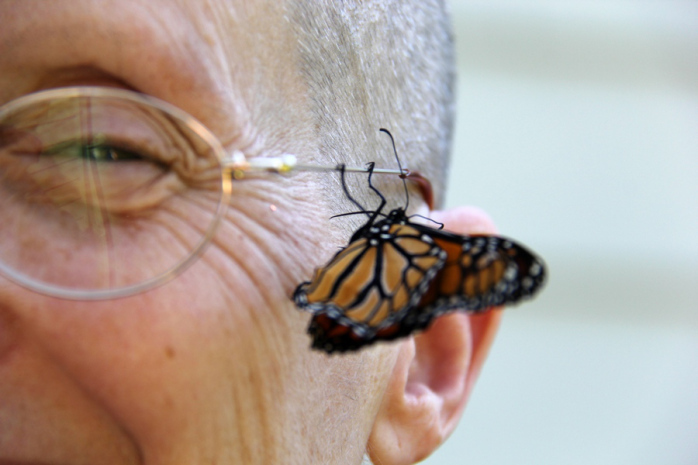 Instead, Sayadaw granted her the ten-precept vows of a Theravāda novice nun on condition that she take them for life. Thus began Ayyā’s training in the Burmese monastic lineage. 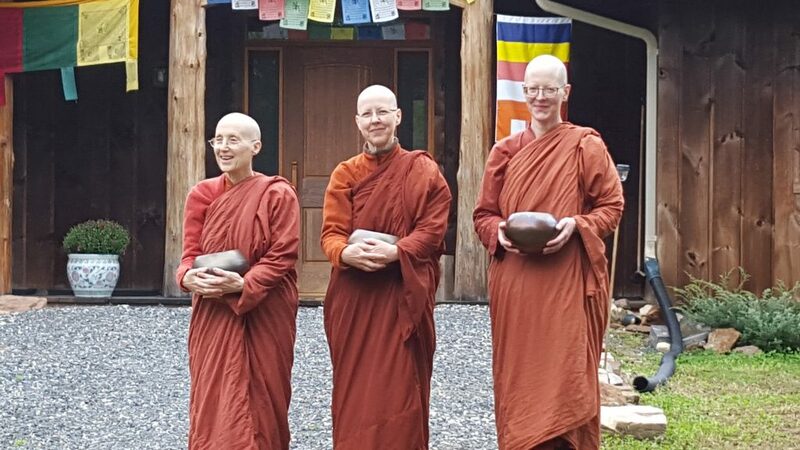 After 20 years as an alms mendicant nun, Ayyā received full bhikkhunī ordination in 2007 at Ling Quan Chan Monastery, Keelung. Friday, October 19th – Friday Evening Meeting with Ayya Medhanandi. 7:30 pm at QH, 91A Fourth Ave, Ottawa. A friendly reminder all dana offerings for the sisters at Sati will be gratefully accepted. Saturday, October 20th – Day of Mindfulness with Ayya Medhanandi 8:30 am – 3:30 pm at Tu-An Pagoda, 3591 Albion Road, Ottawa. Sunday October 28th – Kathina at Tisarana Monastery.